drivingandlife: JAGUAR XE - X-TRAORDINARILY ELEGANT! In building its new creation, the XE, Jaguar is literally reaching for the sky! The segment long-dominated by the BMW 3 Series has been on Jaguar’s hit list for decades, but it has never had the capability of fielding a strong, serious competitor. Now, with Tata Group’s backing, which has led to a string of commercially successful new cars, Jaguar has its best chance yet of entering the competitive fray with a car not just capable of challenging, but potentially able to stand shoulder to shoulder with Munich’s champion, and the other participants in the market slot. Sadly, Jaguar still has to overcome the baggage left behind by its failed attempt in the segment represented by the poorly-conceived X-type. However, the ‘Medium Segment $60,000+’ (in Australia) is no longer dominated by BMW’s 3- Series. The crown now belongs to Mercedes-Benz’s incredibly capable and seductive C-Class, and it’s in this light I’m now driving a 25t Jaguar XE Portfolio, with a 2.5L turbocharged petrol engine. The XE is strategically vital to Jaguar’s desire (and need) to spread the appeal and success of its new sedan range across a wider audience, in order to justify the massive investment in new technology and engines. In the YTD (November 2015) market stats the Mercedes-Benz twins have sold 12,200 cars (versus 7600 in 2014), lifting Mercedes-Benz to a 50% share of the segment. The only other cars capable of chugging along behind Stuttgart’s stormers, are the BMW trio (3 Series; 3 Series Gran Coupe; 4 Series Gran Coupe: 4,874), and the Lexus ES/IS (2,337). Such strong combatants only serve to highlight Jaguar’s challenge in a hotly-competitive segment, because the other cars are surely, well-conceived and equipped, and carry strong badges and image. 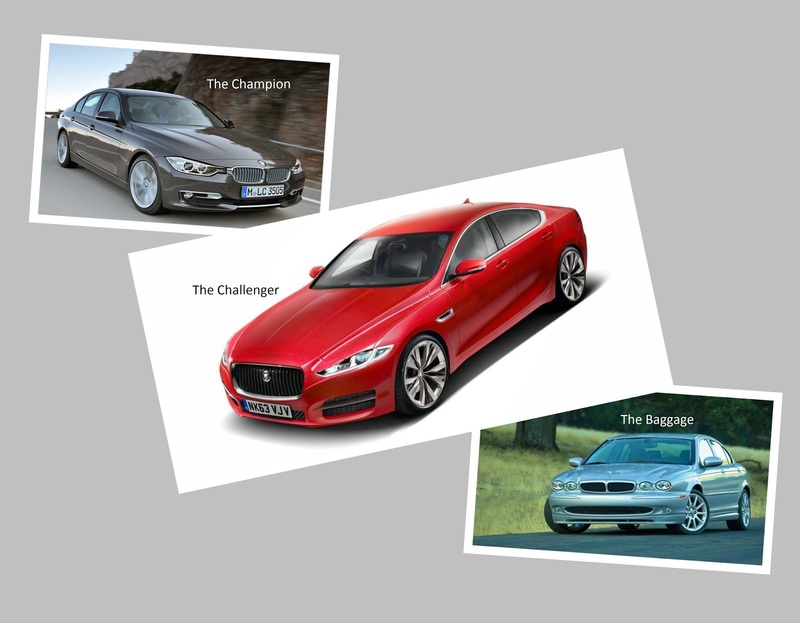 But, Jaguar is neither left wanting in the image stakes , nor lacking in competitive artillery with the XE. Jaguar Land Rover Australia is delighted with the XE’s strong start, and forecasts sales will grow quickly, once all its XE derivatives are ‘on the ground’. After more than 400 km in a metallic black XE 25t, I can tell you this is undoubtedly a car that’s up for the battle. It is extraordinary! The XE is beautiful, beautifully balanced, composed, comfortable, quick and economical – what’s not to like? Starting with the XF, he introduced the ‘new Jaguar’ look, and transposing those design cues he developed the longer, upmarket XJ into a thing of beauty. However, with the XE I believe the lines, dimensions and perspectives have coalesced into the most stunning member of the trio. The XE just looks fantastic, either standing still, or moving. And, that’s the true essence of fundamental Jaguar's appeal over the decades. No-one should doubt the pinnacle that Callum and his design team have reached in bringing the XE to market. The 433 XEs Jaguar has sold in Australia so far in 2015, with just a couple of models, will bear little resemblance to the numbers I think this car can achieve. In the background the volcanic pinnacle of Mt Warning - perhaps a warning to the XE's competitors! Take a look at the design details and you’ll see why I love this car. Especially the interior. Jaguar’s interior designers have taken all the cues generated with XF/XJ and refined them into one of the most stunningly subtle and sophisticated interiors in the segment. The designers have blended expensive-looking finishes, with beautifully proportioned features, to create a wonderfully cohesive visage which suits the size of the car, and the designers’ aspirations to deliver a truly competitive interior ambience, which can match the exterior style, and the on-road performance the shape promises. Okay, so I’m an old Jaguar hand, having worked for the brand for 20 years, and I’m bubbling with joy and relief that Jaguar’s design and engineering teams have produced such a great car. Great to drive, and to look at. Taking to my favorite roads around the scenic rim in south-east Queensland, the XE is a pure delight to push around the flowing, sinuous curves, the long climbs, and equally long descents that twist and wind around the Miocene volcanic range and caldera landscape. The tastefully trimmed seats hold you in place, and the ride comfort has to be experienced to be believed. Starting with the incredibly strong aluminium structure, the handling team has produced not just exceptional balance, but simply the best compromise to deal with undulations, sharp bumps, broken surfaces, and silky-smooth bitumen. You can feel both the stiffness of the package, plus the benefits of the car’s overall (lighter) weight as you push deep into corners at speed. The balanced composure, plus the rear wheel drive setup encourages you to ‘turn in’ early before the corner’s apex and the muscular delivery from the turbocharged engine produces excellent capability to glide between bends with ever-growing confidence and exhilaration. This is a car you really want to take on a long drive. It’s good to sit in the snug front cabin, but it’s also snug elsewhere as well. Because of the designers’ choice to create a low-line, flowing, almost coupe-like shape to the profile, rear headroom is limited compared to its competitors. Also, the north-south placement of the engine limits the interior packaging team’s potential to be free with both legroom, body width and shoulder room. So, there’s a price for exterior beauty. Not that I really think it will stop buyers. I own an Alfa Romeo 159, designed by Ital Design, and I am always telling my friends that its Italian beauty means very limited cabin space, especially in the rear seat. It’s a thing of beauty, but typically Italian – practical it’s not! Camera lens distorts reality, both cars are the same length! In the Jaguar XE this also means limitations to trunk space, but once again my vacation complement of two 62cm rollaways will fit easily. Not so sure about the traditional Ford demand for two full size golf bags though! What I do like in the cabin are some special design flourishes, like the way the extremities of the lower dashboard are integrated into the door trims. It’s clever and practical. The design of the centre console, blending into the touchscreen is also very cohesive, as is the flowing line around the base of the windscreen from side to side. This has now become a Jaguar trademark (although copied by others, including Kia’s new Optima GT). The Meridian sound system is just what you expect from a prestige British audio specialist. The multi-speaker setup delivers well-balanced, full spectrum sound whether you’re listening to Andrea Bocelli or Dave Brubeck. This leads me onto the brilliance and intuitive operation of the entire touch screen system. It’s one of the best, and easiest to use that I have encountered. I believe the pricing spread (in Australia), from the low 60s up towards $100K will result in an XE for every pocket, and that’s very clever positioning. The combination of Ian Callum’s design lead, the engineers’ fantastic dynamic package, and the management’s determination to be competitive is what I believe will drive the XE to excellent sales results. There’s absolutely no comparison between any previous Jaguar effort in this segment, and the XE. It is simply right. From the ground up. Thank you Rattan Tata, for your confidence in the acquisition of Jaguar and Land Rover, and your determination that the companies succeed by providing the resources and support to kick goal after goal with their ultra competitive new models.